This bootloader is compatible with Microchip's HID bootloader, which is available in Microchip application libraries. The original Microchip bootloader is written in C and targeted for Microchip C18 compiler. It consumes 4 kB of the precious PIC program memory, which means already 1/4 of the total available in 18F24K50. 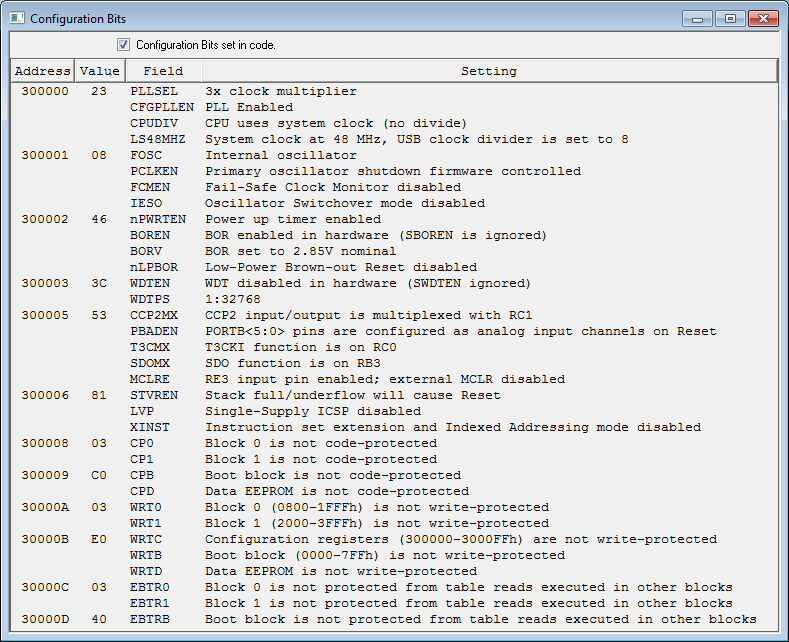 This bootloader however is written in ASM, and consumes less than 2 kB, leaving more space for the actual application. This beautiful piece of code is written by a Japanese guy SAKA, with some modifications by me for use with JAKADAPTER. usb_bootloader.h Header file to relocate application program and interrupt vector. For CCS compiler. 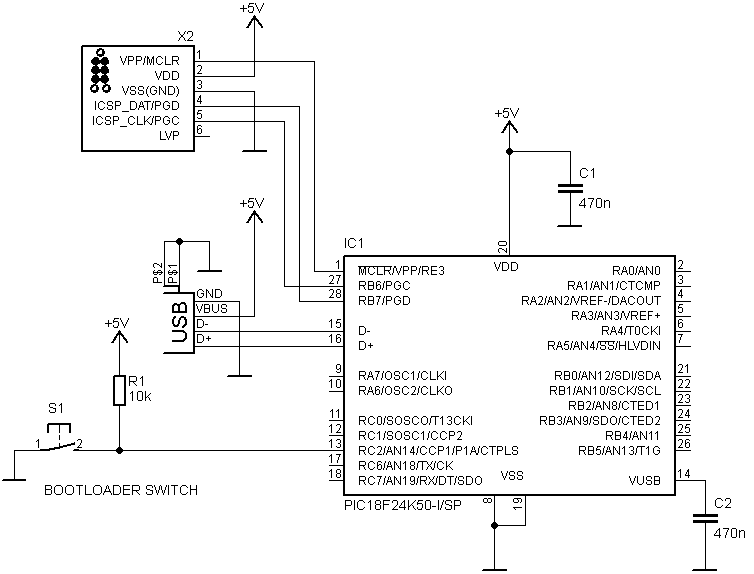 Bootloader switch must be connected on pin RC2 with external pull-up. With the JAKADAPTER, this means keeping joystick 1 fire button pressed during USB cable plug-in. In addition to RC2 pull-up, only the VCC and Vusb bypass capacitors are required. See example schematic diagram below.